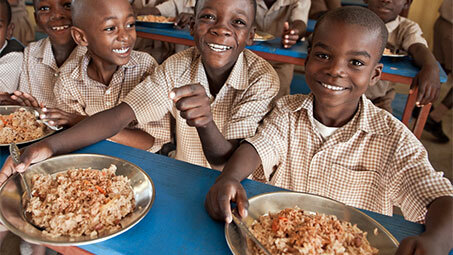 At various times, SOTH is involved and supports the ministry of a school in Haiti – Village of Hope. Contact the Church Administrator for more information at admin@sothva.org or Pastor Qualley at pastorqualley@sothva.org for more information on how you might get involved. The Food Pantry serves over 600 families and individuals each month, with a mission to feed anyone who comes in need of food. SOTH supports the pantry by collecting food on the fourth Sunday of each month and by occasionally serving at the pantry for more information contact admin@sothva.org or Sign up for training opportunities or to volunteer. Stephen Ministers lend a confidential and attentive ear to people in our congregation and community who are experiencing challenges in life. The Ministers are compassionate people, specially trained to provide one-on-one Christian care. A Stephen Minister could be the answer to your prayers! To request a Stephen Minister, or to receive information about the program or training, please contact Pastor Darcy or a Stephen Ministry Leader. Pace West School provides a safe, nurturing, and therapeutic learning environment which addresses the individual needs of each student. Shepherd of the Hills is happy to support these local students in several unique ways. The PACE West Peanut Butter Fund gives money directly to teachers to provide snacks for students unable to afford their own. 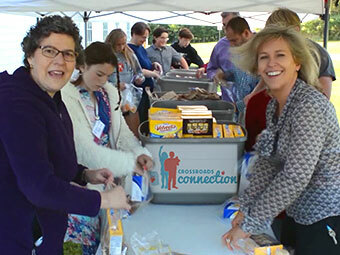 Every year SOTH provides money for the purchase of food for a Harvest feast, members of the congregation volunteer to serve the dinner to students and teachers. The Angel Tree at Christmas gives congregants a chance to purchase Christmas gifts for students and their siblings based on indicated needs. Finally, Box Tops for Education are collected at SOTH on an on-going basis to provide a source of extra money for PACE West. For more information contact the Parish Administrator at admin@sothva.org. Shepherd of the Hills frequently gives to LDR in times of need, most recently for hurricane relief. For more information contact the Parish Administrator at admin@sothva.org or if you would like to contribute, please go to our GIVING page.